As a part of Jagriti, Fortis Escorts Hospital, Jaipur in association with Maharani Gayatri Devi School organized an interactive session on Health & Nutrition. 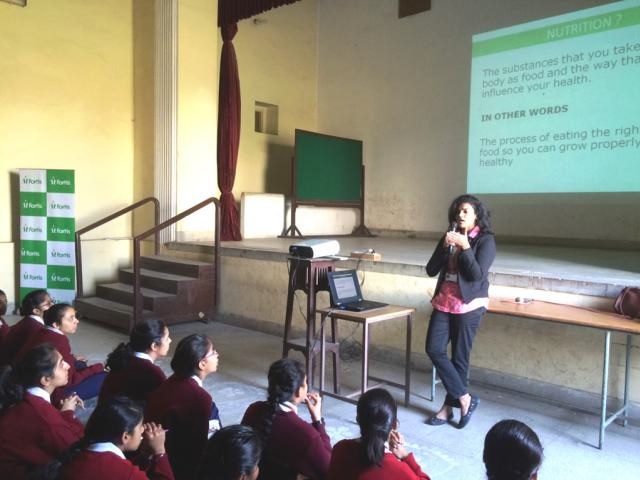 Championed by Ms. Garima Tiwari, Head- Clinical Nutrition & Dietetics, the event witnessed participation from over 275 students. Apart from the talk, round-table discussion with parents was also organized. Primarily the psychological challenges being faced by children were discussed.